I come from a farming back ground and grew up on a cattle farm. I was farm manager until 2013. In May 2005 I became a part of Taromeo RFB, and in 2009 I became the 1st Officer. During this time I have been on many deployments for fires, floods and cyclones. 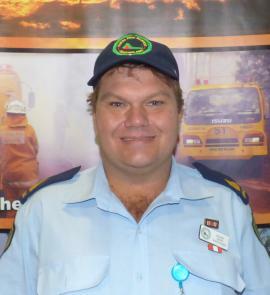 I am the Nanango Rural Fire Group Officer 2011 to present.